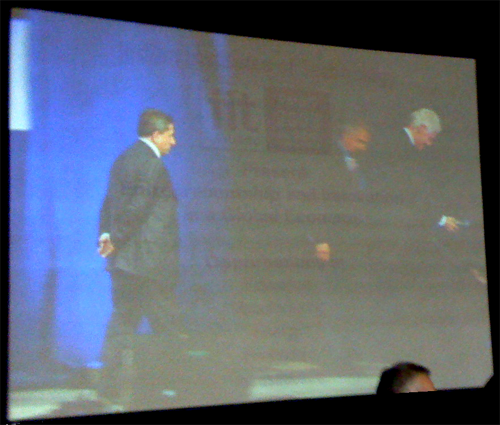 President Bill Clinton Asks IIT Alumni to Crusade Against Inequality offers coverage of Clinton’s PanIIT keynote, espouses entrepreneurial approach to vanquishing negatives of interdependence. 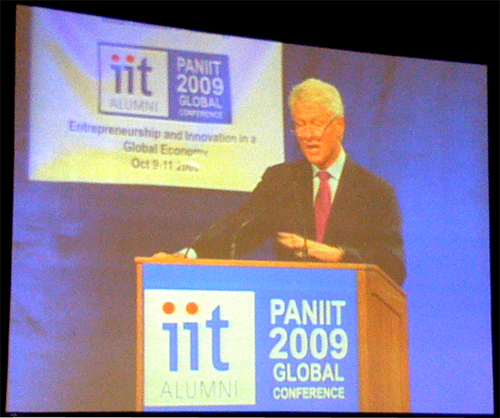 President Bill Clinton addressed 2,500 alumni of the Indian Institutes of Technology in Chicago on Saturday at PanIIT 2009 with the message: You can make an impact as an individual, and all of us have to take responsibility for creating a more equitable, stable world. 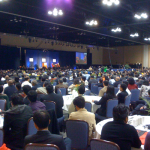 Speaking at the three-day global confab, Clinton pointed out that interdependence had positive and negative consequences because it brought people together in unprecedented ways. Through actual and media contact, people start seeing how everyone else lives around the world, and startling differences are difficult to understand and accept. Overshadowing this are a slew of global challenges like disease and climate change, problems that demand unprecedented collaboration. I will both summarize his remarks and provide my analysis and conclusions. 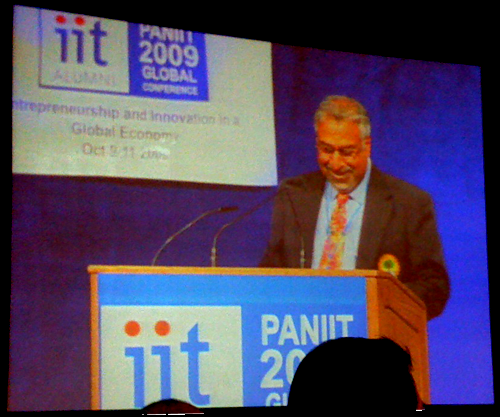 PanIIT represents the crème de la crème of India’s educational system, and it’s well known that many of the system’s alums are well represented in global corporations and start-ups. 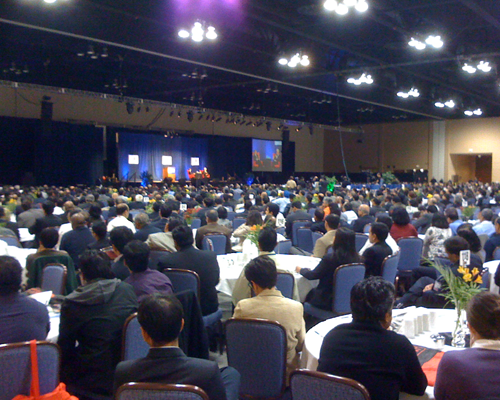 Clinton pointed out that Indian immigrants (in the U.S.) produce more economic value than any other group. He called on the audience to put their brains and hearts to work to solve some of the world’s thorniest problems. 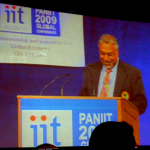 IIT is in the epicenter of India’s demand for an educational system to propel an ever larger portion of the country into the Knowledge Economy. 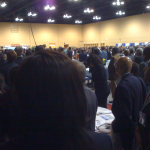 It is trying to expand capacity while retaining quality. 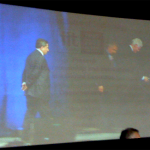 Mr. Gupta, who introduced Bill Clinton, acknowledged Clinton for forgoing his usual speaking fee. A $10 lamp that looks like a flashlight and is rechargeable during the following day via its solar panel; it enables families in rural areas (with no electricity) to study and work at night, significantly increasing their productivity. One battery can perform for 750 cycles (2 years) before replacement. Deforestation is destructive in many parts of the world, and it affects us all directly due to climate change. People cut trees out of desperation. In Haiti, where Clinton spends considerable time, trees are cut to make charcoal for home stoves. An entrepreneur invented a simple, affordable mechanical device that presses paper and wood waste into disks (they look like particle board, about the size of a bagel) that burn for about two hours and cost a few cents. Less than charcoal. Less deforestation, and people spend less money. HIV/AIDS (Clinton HIV/AIDS Initiative)—Drugs are too expensive, even generic drug programs. 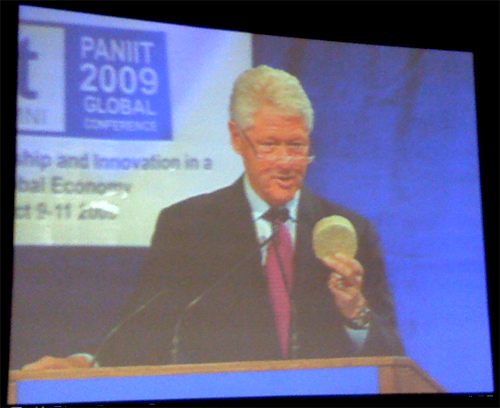 AIDS is rampant in Africa, where some families live on less than $1/day; Clinton negotiated large deals with generics companies and decreased their costs by assuring revenue streams, of course everyone has to make money, so we have to change the conditions in which companies and people make economic decisions. 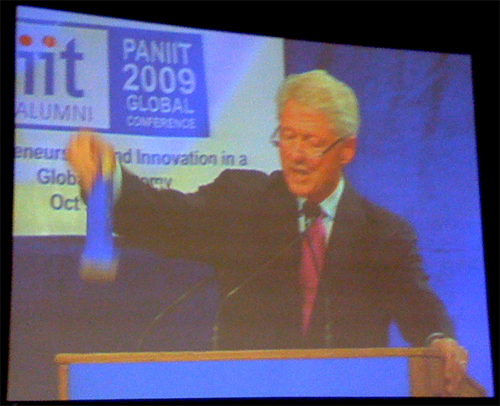 Climate change (Clinton Climate Initiative)—One message was that we need to create products and processes and tools that enable poor to get ahead by doing the right thing; for example, using the Haitian “briquettes” instead of charcoal. 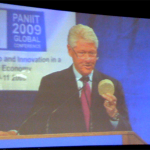 Poverty in Africa (Clinton Hunter Development Initiative)—His message here was everyone may not know it, but everyone has a stake in poverty, even though the connection may not be obvious. Healthy living (Alliance for a Healthier Generation)—He didn’t address this in detail. I have cleaned up these tweets for typos and some of the more esoteric abbreviations; to see them in original form, see my Twitter stream. 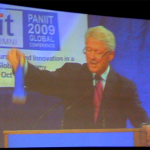 Clinton’s presentation added a holistic, global element to the conference, and his message that attendees could use similar tools and processes to make a serious impact was refreshing and useful. The examples he used drove home the idea. He argued that we are rapidly losing the luxury isolation once afforded; climate change, for example, doesn’t care where carbon is created or how “justified” it may have been. Carbon is carbon. The Global Human Capital Journal is all about P2P connections and the differences they can make. I can’t say enough about his message that people like us, in the audience, can personally take the initiative and make a significant difference. His approach felt quite personal, and it makes me wonder whether he might personally feel more empowered to make change happen, now that he is no longer president (and required to manage all the huge machinery that goes with being head of state). 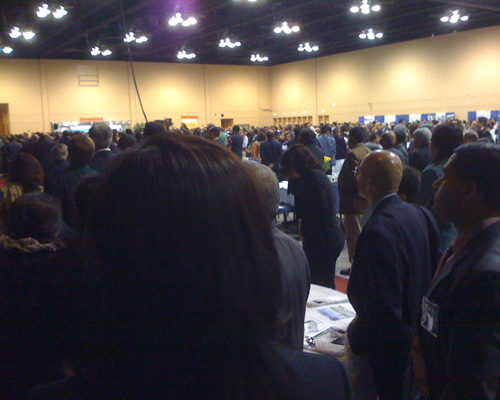 The audience was deeply appreciative; it was really moving, after Clinton had left the stage, the crowd spontaneously remained standing after the applause, and the room was very still and silent for many seconds.